Join us as we reason together from the Scriptures and sharpen one another as iron sharpens iron, testing conventional and controversial views of hell in the light cast by the light of the world. In addition to the plenary speakers listed below, the 2018 Rethinking Hell Conference will feature several breakout/parallel speakers. We’d like to invite anyone interested in speaking on the conference theme and related topics listed above to submit a proposal by December 31, 2017. Just email an abstract or description of your paper, along with biographical information, to conference@rethinkinghell.com. We will choose the top proposals and notify their authors by January 14, 2018. Dr. Preston Sprinkle has authored several books, including the New York Times bestselling Erasing Hell (with Francis Chan; 2011), Fight; A Christian Case for Nonviolence (David C. Cook, 2013), Paul and Judaism Revisited (IVP, 2013), Charis: God’s Scandalous Grace for Us (David C. Cook, 2014), and the recently released People to Be Loved: Why Homosexuality is Not Just an Issue (Zondervan, 2015). Preston frequently speaks at various venues including college chapels, churches, music festivals, youth camps, family camps, and anywhere else where people desire to hear relevant Bible teaching. Dr. Craig A. Evans is the John Bisagno Distinguished Professor of Christian Origins and Dean of the School of Christian Thought at Houston Baptist University in Texas. Author and editor of more than sixty books and hundreds of articles and reviews, Professor Evans has given lectures at Cambridge, Oxford, Durham, Yale and other universities, colleges, seminaries and museums. He also regularly lectures and gives talks at popular conferences and retreats on the historical Jesus, Archaeology, the Dead Sea Scrolls and the Bible. Dr. Gregg R. Allison is Professor of Christian Theology at the Southern Baptist Theological Seminary in Louisville, Kentucky. Professor Allison is the author of Historical Theology: An Introduction to Christian Doctrine, Roman Catholic Theology and Practice: An Evangelical Assessment, The Unfinished Reformation: What Unites and Divides Catholics and Protestants after 500 years, and other books. He also serves on the Evangelical Theological Society editorial committee as book review editor (in the areas of theology, history, philosophy, etc.) and referee (for articles). 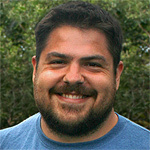 Christopher M. Date is a well-known evangelical author, editor, speaker, blogger, debater, and podcaster. Representing a global movement known as Rethinking Hell, Chris has been interviewed in such secular media outlets as the New York Times and National Geographic, and co-edited Rethinking Hell: Readings in Evangelical Conditionalism (Cascade, 2014) and A Consuming Passion: Essays on Hell and Immortality in Honor of Edward Fudge (Pickwick, 2015). He is currently a Master’s student at Fuller Theological Seminary. 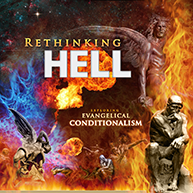 To register for the 2018 Rethinking Hell Conference, and for additional details, visit the conference website. While ordering, don’t overlook the option to add discounted copies of Rethinking Hell and A Consuming Passion, signed by co-editor Chris Date, which you can pick up at the conference. 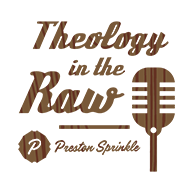 Also, add a catered lunch with Preston Sprinkle and Chris Date as they record a live joint episode of the Theology in the Raw and Rethinking Hell podcasts, in which they’ll discuss the conference topic and presentations and answer your questions. Are you local to the Dallas–Fort Worth area, or if you’re coming in from out of town can you stick around an extra evening? On Sunday evening, March 11, a day after the conference, Chris Date will be speaking at a Bible & Beer Consortium event in Fort Worth. Details will be posted at the conference website as they become available.